PVC-u brings to replacement windows, such as extra warmth, draughtproofing and soundproofing, not to mention the longer lasting performance. 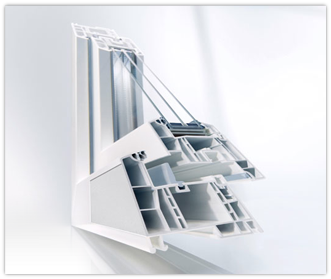 All our windows are manufactured in our own dedicated factory, and they’re made from Rehau PVC-u 70mm profile. 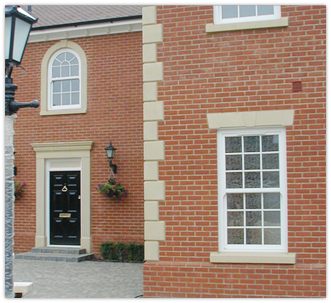 As Rehau is a market leader in profile, we’re able to offer a wide range of high quality windows to suit all types of properties. Some of the popular styles of PVC windows are casement windows, sash windows, tilt & turn windows, bay windows and bow windows. Our windows are internally beaded as standard, to prevent the removal of glass from the outside, and thus enhance security. All windows incorporate 28mm double-glazed units, for optimal soundproofing and heat retention. down, but it can tilt inwardly for ease of cleaning and ventilation.